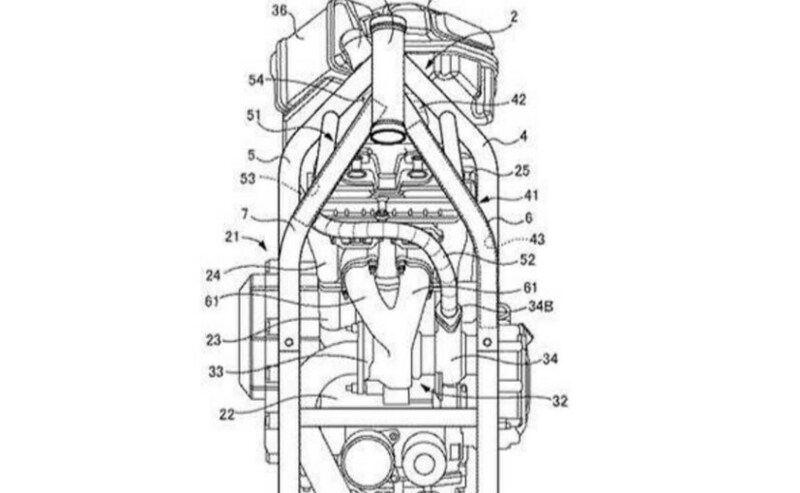 Latest patent images show changes in the frame design and engine layout of what seems to be Suzuki's ongoing turbocharged motorcycle project. 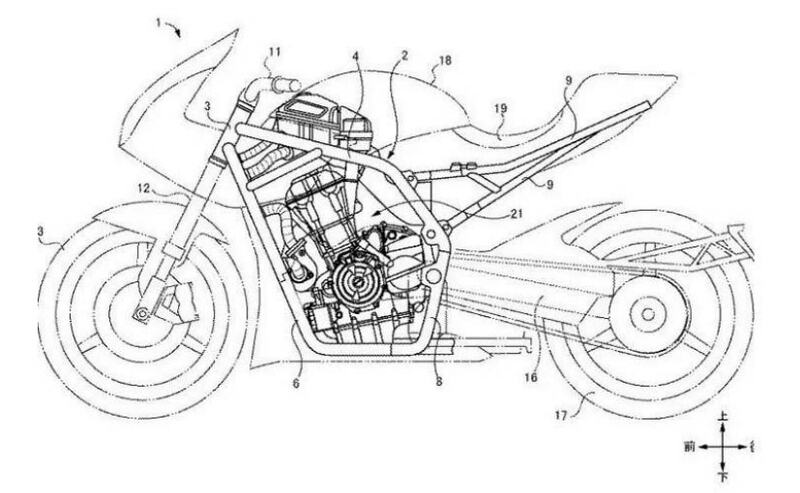 Suzuki's turbocharged motorcycle continues to create news yet again, with the emergence of latest patent images. Latest patent images of what could be the next-generation Suzuki Recursion have been shared online, and the latest images reveal quite a few details about the chassis and engine mounting layout. The turbocharged Suzuki is yet to be seen anywhere in any form, other than the patent images which uncannily seem to make an appearance every now and then. We saw the last set of patent images hinting at a turbocharged Suzuki in June last year, and now again the new images have appeared! One thing is for certain - Suzuki is actually working on a turbocharged motorcycle, but what we don't know is when it will be revealed, even in concept form, or as an advanced prototype. The engine is expected to be a 700 cc turbocharged unit, putting out over 150 bhp of power as disclosed by Suzuki in 2015. That engine, called the XE7, was referred to have "geometry turbocharger technology" which could only mean that the turbocharger could be of variable geometry type. In layperson terms, variable geometry turbocharging allows the extraction of maximum effect from low exhaust flow during turbine acceleration. The latest patent drawings also reveal that Suzuki has adopted a double-cradle frame, opting for mounting the engine in the frame, rather than using it as a stressed member as previous patent drawings had suggested. The turbocharged Suzuki Recursion concept was first unveiled in 2013, followed by a bigger engine version, details of which were revealed in 2015 as the XE7. The turbocharged engine concept started off as a 558 cc concept in 2013, making around 100 bhp, and the XE7, a 700 cc turbocharged engine likely to put out power in the range of 150 bhp, and a lot more torque than a naturally-aspirated similar displacement engine can make. For example, the 749 cc, in-line four cylinder engine of the Suzuki GSX-S750 makes just 113 bhp of power, compared to its turbocharged sibling. So far, these are only patent drawings and details revealed by Suzuki over the years, but one thing is certain - the turbocharged project is very much alive at Suzuki and it could be sooner than later when a turbocharged Suzuki in concept form is revealed, maybe as early as later this year, at either the Intermot, or EICMA show in Europe.